Home improvement and garden centres offer incredible items to fulfil just about any need you may have to do your own projects or to help contractors augment their supplies. When pulling products to use at home or in your business at these warehouse shops, both employees and customers are required to lift and transport whatever they want to buy to the checkout counter on their own. 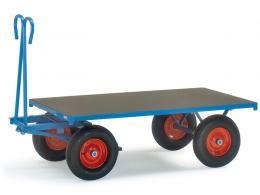 Our turntable trucks & garden trolleys are built to make the loading, lifting and moving of awkward, heavy and bulky items easy and efficient. 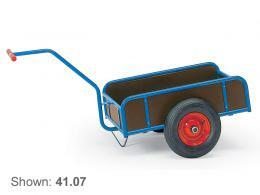 With sides to keep in smaller items with some and a large open space for easy loading and unloading in others, you’ll discover that our range of trolleys make transport of such diverse cargo as bags of potting soil, planters, lumber and more easy to do in one trip. 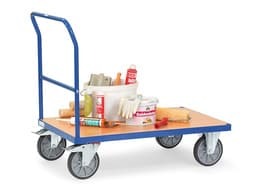 They roll easily, have different handles to accommodate however you need to move whatever product you have chosen and have different wheel wells to suit whatever kind of transport purpose you may have. 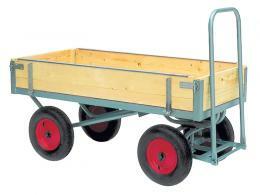 These are very sturdy, well-built and heavily reinforced products that work well in transporting inventory through garden and home improvement centres, community gardens, landscaper shops, building sites, lumberyards and warehouses. These unique solutions will be at home anywhere different sized cargo needs to be moved and stored. 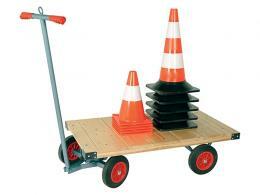 Because of the variety we offer with this category, you’ll be able to find the right hand truck or garden trolley to suit whatever environment in which it needs to be used. 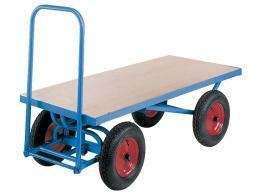 Our turntable trucks & garden trolleys come in both pneumatic and standard wheels for your convenience and comfort. The styles we offer also have two or four wheels, depending on the kind of loads you are moving and how the distribution of weight will best serve your purpose. Take a look through this amazing collection to discover what makes the most sense for your home or business. 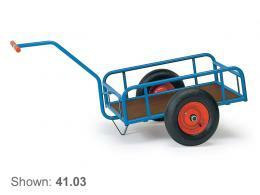 The turntable trucks & garden trolleys in our collection make an excellent addition to any area that needs to move a diverse selection of items at any given time.